Scott MacIntyre is proud to announce he's a father. Scott MacIntyre has gotten married. Scotty McCreery was crowned American Idol's tenth-season winner during Wednesday night's live finale broadcast on Fox, becoming the fourth-straight male finalist to take home American Idol's title. Scott MacIntyre has gotten engaged. American Idol's Top 10 eighth-season finalists better get used to life on the road. 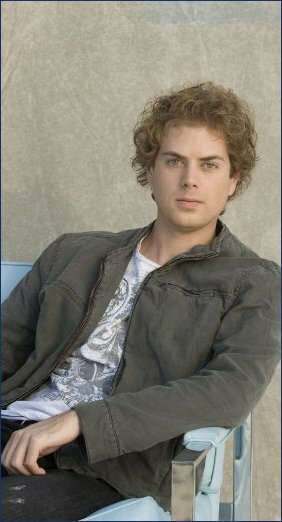 Scott MacIntyre feels his American Idol experience could have lasted a little longer, but he has no regrets about the way it ended. Scott MacIntyre isn't upset that American Idol's judges couldn't unanimously agree to use their new "The Judges' Save" veto ability to prevent his elimination after he was revealed to be the week's low vote-getter during Wednesday night's live results show broadcast on Fox. Simon Cowell has a simple explanation for why he wasn't in favor of using American Idol's new "The Judges' Save" veto ability to save Scott MacIntyre, a legally blind 23-year-old from Scottsdale, AZ, from elimination after he was revealed to be the week's low vote-getter during Wednesday night's live results show broadcast on Fox.